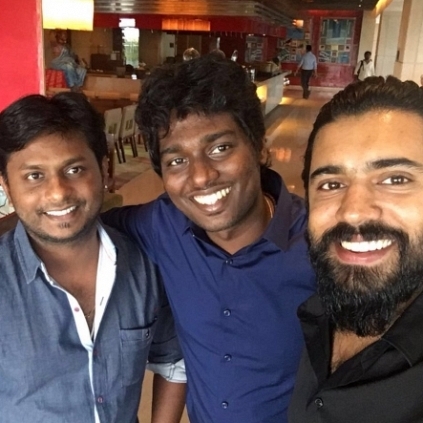 Atlee after his blockbuster Theri is all set to produce a film starring Premam man Nivin Pauly in the lead role. Atlee's associate director Surya Balakumaran will be directing this movie. Atlee confirmed it through his tweet stating, "Happy to announce My production no2 With Malayalamsuperstar @NivinOfficial Launching my friend @suryaaB as Director". It is also noted that this film would be Atlee's second production under his production house A for Apple Production after Sangili Bungili Kadhava Thorae starring Jiiva and Sri Divya. The latest update about this movie is the shooting wrapped up today. People looking for online information on Atlee, Jiiva, Sangili Bungili Kadhava Thorae will find this news story useful.